The mysterious angel of light Moroni and Hill Cumorah where the golden plates of Mormonism were buried are stories Joseph Smith introduced to his followers, but what they may not have heard at the time is the full story of Captain Kidd. According to legend Moroni, Camora is supposedly the resting place to a large cache of pirate treasure just waiting to be found. 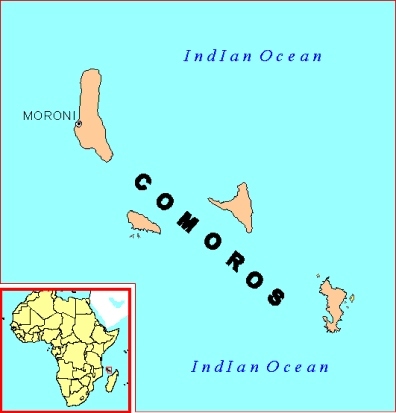 During the wild escapades of Captain Kidd the Comoros (also known as Camoras) was a favorite stomping grounds of the notorious pirate. From the stories of hidden treasure in the Indian Ocean to the hills of upstate New York it’s not difficult to see where Smith’s focus was engaged. You can read more about the strange coincidences in the following articles. According to the NRCS’s Web Soil Survey, and its publication Preservation of Buried Human Remains in Soil, the soils on and around the Hill Cumorah are by and large well suited for preserving bones. Except for the lowermost soils on the landscape as in bottomland and swampy ground, the soils on the hill and the rest of the ground are sandy or loamy, alkaline, over 8′ deep, don’t have perched seasonal water tables or pond water for most of the soils, and don’t have any restrictive layers within 8′. I haven’t thoroughly studied them yet, but that is my surmisal so far. If 90,000 or 230,000 Nephites and also a huge number of Lamanites were killed in that battle, and buried, there should be bones all over that area in the soil, and even sticking out of it, not to mention all the debris such as broken swords, spears, arrowheads, buckles, etc.. If the bodies were cremated that war debris should still be present, and there should be evidence is masses of ash from the fuel used to cremate and the bodies themselves. That would have been a huge quantity of human bodies and bones if buried, and ash if cremated. You’d think there’d be visible evidence still around. There is for coal clinker from past coal seam fires in Wyoming and Montana. You can see the layers of ash in exposed hillsides. This is just one more evidence of the BOM being a fiction. According to the NRCS’s Web Soil Survey, and its publication Preservation of Buried Human Remains in Soil, the soils on and around the Hill Cumorah are by and large well suited for preserving bones. Except for the lowermost soils on the landscape as in bottomland and swampy ground, the soils on the hill and the rest of the ground are sandy or loamy, alkaline, over 8′ deep, don’t have perched seasonal water tables or pond water for most of the soils, and don’t have any restrictive layers within 8′. I haven’t thoroughly studied them yet, but that is my surmisal so far. It should have been easy to dig pits or trenches. If 90,000 or 230,000 Nephites and also a huge number of Lamanites were killed in that battle, and buried, there should be bones all over that area in the soil, and even sticking out of it, not to mention all the debris such as broken swords, spears, arrowheads, buckles, etc.. If the bodies were cremated that war debris should still be present, and there should be evidence is masses of ash from the fuel used to cremate and the bodies themselves. That would have been a huge quantity of human bodies and bones if buried, and ash if cremated. You’d think there’d be visible evidence still around. There is for coal clinker from past coal seam fires in Wyoming and Montana. You can see the layers of ash in exposed hillsides. This is just one more evidence of the BOM being a fiction.